A billionaire collector who sued Christie’s auction house accusing Christie’s of certifying a virtually worthless cache of wine as belonging to Thomas Jefferson, was told on Thursday that his suit was time-barred. William Koch, the founder of Oxbow Group energy company, and brother of businessmen and conservative activists Charles and David Koch, was found to have failed to exercise timely due diligence over the authenticity of the cache of wine he collected from Christie’s. Thomas Jefferson is known to have been a wine aficionado, and having served as an envoy to France in the late 18th century. 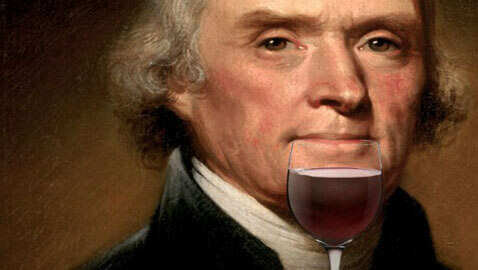 So, when four bottles of red wine said to be from 1787 were discovered in Paris with the initials “Th.J.” it was believed the bottles belonged to Thomas Jefferson. Koch purchased the four bottles of red wine in 1987 and 1988 from wine dealer Hardy Rodenstock through intermediaries. In the lawsuit Koch filed in 2010, he alleged that Rodenstock and Michael Broadbent – then head of Christie’s wine department, at the time of purchase – acted as associates in committing fraud. Koch alleged that Christie’s had made a deal with Rodenstock to promote him and sell his wines. Koch also alleged that Christie’s had lobbied Jefferson’s Virginia home, Monticello to support the claims for the wine. On another front, Koch is pursuing a lawsuit against Rodenstock, where in May a magistrate judge fined Rodenstock for over $600,000 in damages. The order is subject now to the approval of Judge Jones who is overseeing the matter.